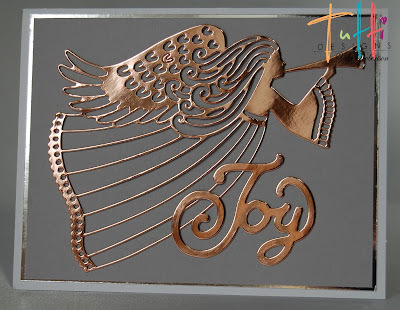 Tutti Designs: Angel of Joy! Vicki here with you today sharing some Monday, after the holiday...after Black Friday, inspiration! Hope everyone that celebrates Thanksgiving had a wonderful day with family and friends. Our travels are over for the remainder of the year and I plan to get moving on my Christmas preparations as soon as possible! 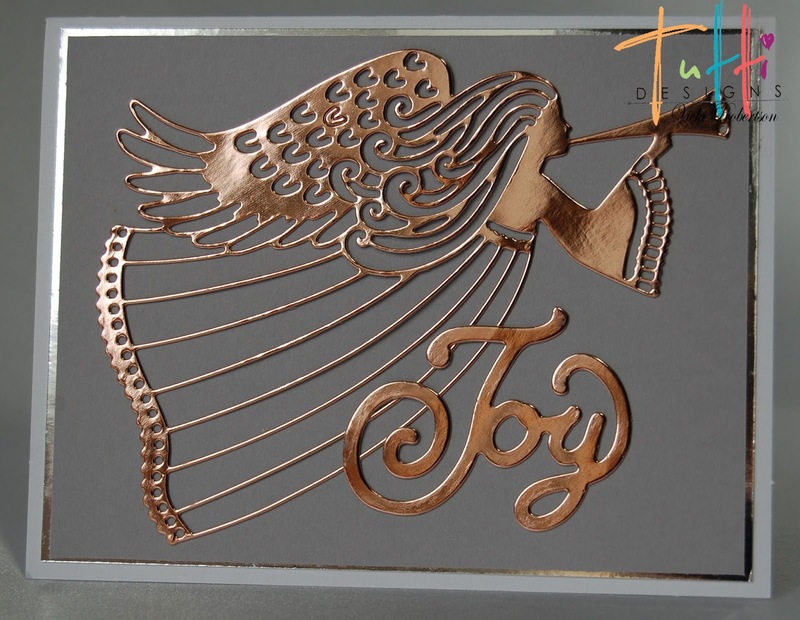 I typically create at least half of my cards in non traditional Christmas colors and the other half traditional. Well, as you can see, this is one of the non traditional ones. I came across this color combination earlier this year, fell in love with it and decided that I needed to try it. I'm sharing the first of four Christmas card designs that I make every year. 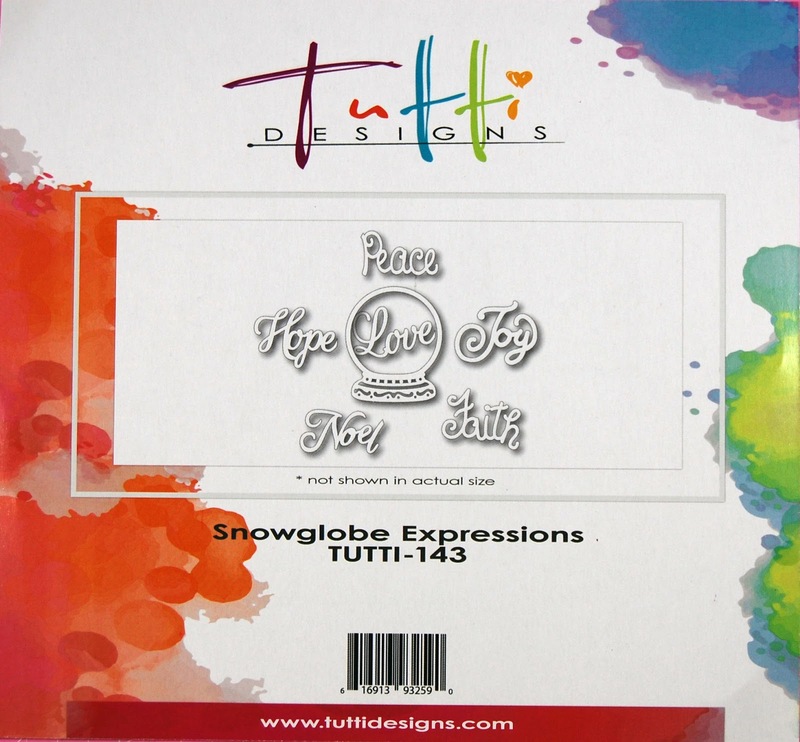 I used the Tutti Designs' Flying Angel and Snowglobe Expressions dies. 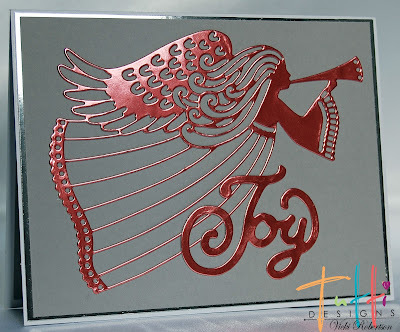 This A2 size card is a simple, but elegant design using only two die cuts. The white card base is layered with silver metallic and gray cardstock. I used two different colors of metallic paper for the image and sentiment. 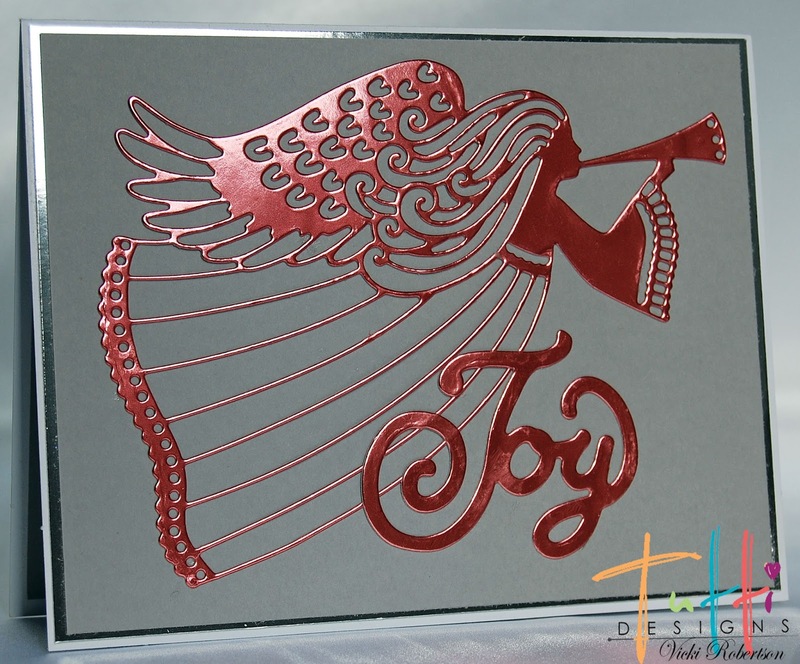 The angel and sentiment on this first card are cut from a pink/coral metallic paper. I love this color combo! I used a champagne metallic for this image and sentiment. It photographed with more of a gold tint, but it's a paler color IRL. 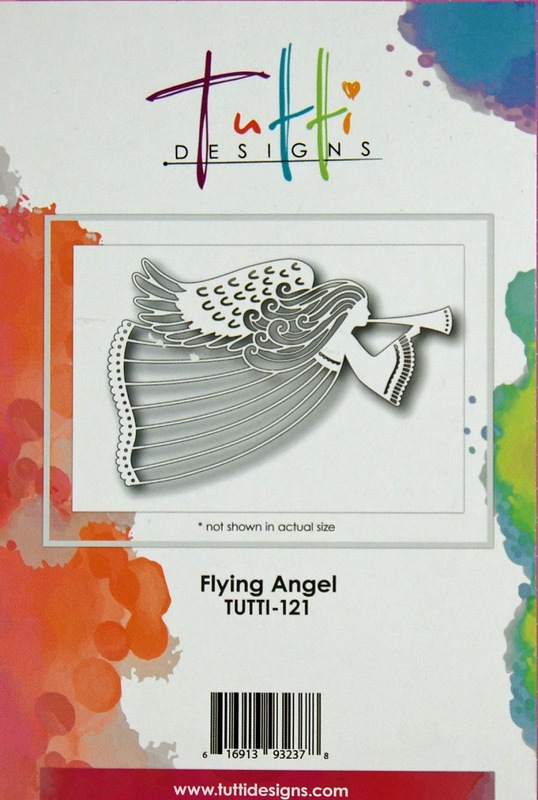 I hope you had time to do some Black Friday shopping for Tutti Design Dies. 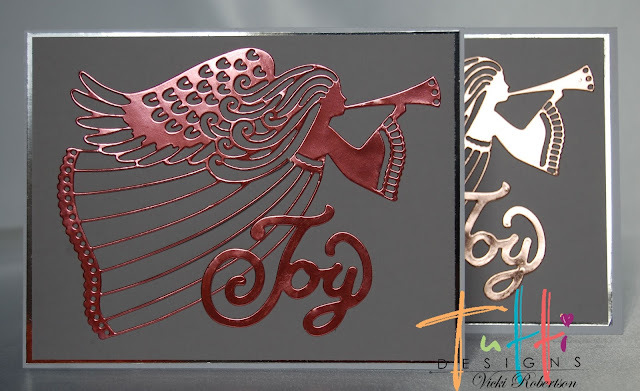 If not, get on over to the Tutti Store today and add a few of their great dies to your stash. Treat yourself to an early Christmas gift! Thanks for stopping by to share my Tutti Designs inspiration today! Very elegant and beautiful Vicki. I love the word die too! They are beautiful Vicki ... awesome holiday inspiration!